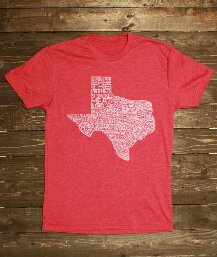 This minimalist, spiral-bound book is chock full of great Texas BBQ recipes, but nary a color photograph leaves you to imagine how good each dish must look. 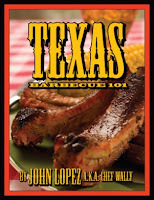 The author's BBQ philosophy is basically the standard low and slow method with just enough smoke, but not too much. 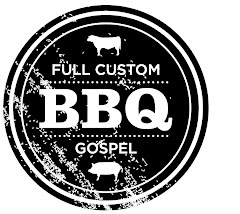 He echoes the opinions of this blog well when he writes "I don't believe in wrapping barbecue in foil to cook it, as that steams the meat and changes the texture in an unfavorable way. I don't want to have my meat fall off the bone. I want to chew it off..."to the tooth" or al dente, best describes my ideal barbecue." After a few pages to introduce his method, the recipes begin. Every type of meat is discussed including lamb, goat, a traditional barbacoa and even shark. Those looking for the basics like smoked ribs, brisket and pork will also find some simply explained and easy to follow directions. What you won't find here is how to substitute an oven or a gas grill for a smoker. Simply put, there is no substitute. 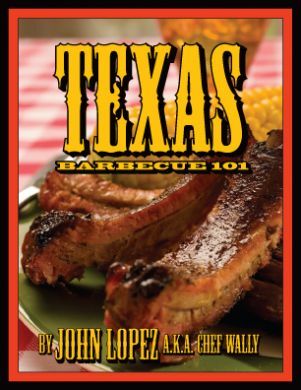 Due to the small format of this book, I chose to concentrate on using the Texas style smoke pit. This is my preferred cooker, affordable and accessible to most everyone. Maybe I can add more about other cookers in a future addition. Thanks & i enjoy your site. Chef Wally - I've enjoyed the book, and it has helped me refine some of my smoking techniques. I look forward to some full color photos in your next book. Thanks for reading.